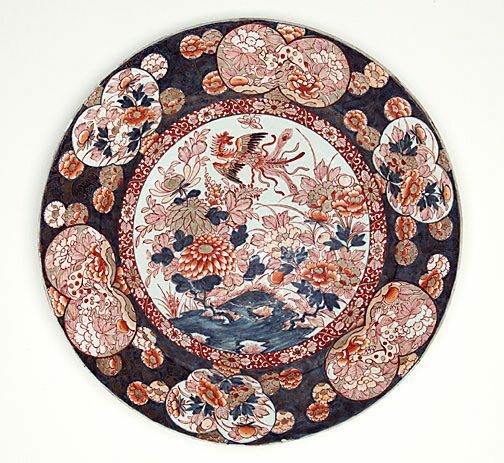 Although in Japan the term Imari ware designates both blue-and-white and enamel decorated wares, in the West the term has generally referred to porcelains densely decorated in enamels, such as this. In the centre it features a design of phoenix and flowering plants, with a flower and animal pattern around it. The large shallow shape of a charger made it well suited to pictorial decoration. Most dishes were hung on the wall rather than used. The Asian Collections, AGNSW, 2003, pg.264.